1000 people can make $1000 – Are you one of them? And I am sure you remember those amazing words from Abba many years ago. I’m sure you have sung along to that song. Welcome and I am guessing you would like a little bit more money. And if you have money, it makes the world a much better place. I believe that money has one specific reason and that is to just make life better. With money I want to help you make your life better and at the same time I also want to make my life better. So in this series, which is a brand new series, I have just put together, i am going to share with you secrets of program that I have actually used to help increase my wealth. Virtually all of these programs have something to do with bitcoin. Click on the “Download Now” button and it will take you to an Amazon page where you can download the book for free. It tells the true story of how Jane and I (that’s the couple) went from February 2017 when we were almost broke, (we actually had the electricity of our house turned off) to spending the last year in Cambodia, Hong Kong and Thailand. We have had an amazing journey. So this book shares the story with you. And if I scroll down, you can see that right now I am #6. So I’m in the top 10 of online trading. That’s really cool, I’m really happy to hear about that. So this is a fairly new book, I released it earlier this year and it’s yours for free. Race To 1000 – Who Is Tim Bennett Anyway? I’m not going to do a massive introduction into who I am. You can actually find out who I am very easily by clicking on this link. It will take you to a page on this website and you can see who I am there and rather than me telling you my whole life story to you here you can go and read about it and save Time. I will give you a very brief introduction. My name is Tim Bennett, I am originally from England and I have been living in Asia for the last 20 years or so. I’ve had a company in The Philippines, in Manila called Argon Animation Inc which is a laser light show company, show production and event management company and it has been an amazing journey. I have thoroughly loved every minute of it. I also lived in Thailand for the last year and I love Asia. I am an entrepreneur by heart and as you probably know, the sole purpose of an entrepreneur is to find problems and then find solutions for them and then to share those solutions with other people. People say ‘thank you’ and they share their gratitude with us by paying us. So we get paid to help people. This is a journey that took about 4 or 5 years. In February 2017 I reached a new low in my life. Even though I had been 25 years in business and had done extremely well, cash flow was really bad and I got to a point where I was virtually out of money, in fact if you read the story you will find out I started the year off with $75. That’s all I had in the bank! A friend of mine introduced me to bitcoin and the rest as they say is history. What is Cryptocurrency – Is It Really The future Of Money? Bitcoin is an online currency. It was created round about 2008/9 to find a solution to the massive banking problems and the massive fraud problems that were happening at that time, that created a financial collapse. A white paper was launched and cryptocurrency and bitcoin was launched. The 1st transaction took place round about 2009/10 and it is very misunderstood as to what it is, but bitcoin is basically a decentralized trust-less banking system. Decentralized means it cannot be controlled by any one person or any one group. Maybe you don’t know the fiat money system is totally worthless, it has nothing backing it what-so-ever. In the 70’s gold was taken away from backing the dollar. The dollar is now back by absolutely nothing, that had a knock on effect around the world and our money has zero backing, it’s just paper, it’s worthless. Combine that with fractional reserve banking, where the banks can just make up money, it is the world’s biggest Ponzi system and the money in your bank account does not actually exist. If everyone went down to the bank and said “Can I have my money?” the bank would collapse and we would have a massive banking problem. It’s going to happen one day in the not to distant future. Decentralized means that can’t happen. You can’t make more of it. There will only ever be 21 million coins. Bitcoin is controlled by us the people. Race To 1000 – I Want To Control My Money! I don’t know about you, but I want to control my money. I don’t want the government telling me what I can do with my money. How many times have you ever been down to a bank and had your access to your money refused? It took us over 6 months to get our money out and because we couldn’t access any of our money we actually went bankrupt! I don’t know if you know that the banks are manipulating your money and it’s a huge Ponzi system. Bitcoin is a decentralized system which is designed to stop this happening. It’s trust-less which means you don’t need permission of anyone else to send it. So let’s just say you want to send money to some body else in another country, traditionally you would go down to the bank or to a 3rd party money ex-changer and send it, you need them to help you, you need them to give the permission. If they don’t want to give permission, because they decide they don’t want to, your money doesn’t get sent. If you have ever tried opening a bank account recently, it’s almost impossible, without giving every single detail about you, where the money is coming from, who your parents were, who your grandparents were and all your lineage back to Adam & Eve (not literally). Now I understand we need to have some controls over money, but what is happening right now is absolutely scary and if you knew the truth about it, you would not want to have money in your bank. So bitcoin was created to prevent all these issues. It is an online currency and it has grown in massive popularity the last few years and it is a peer-to-peer system which means that I can send it to you, you can send it to me, you can send it to where ever you want, as long as they have an internet connection and as long as they have a device that accepts it, a bitcoin wallet, you can send it to anyone without any permission, it goes immediately, it’s very cheap to send and it is absolutely fantastic. I believe, and so do many experts, that bitcoin is going to be the currency of the future and that fiat (money), the US dollar, the French Franc, and the British Pound, and everything else is eventually going to collapse. We will be left with things like Gold, Silver and Bitcoin! That’s what’s going to be the new currency! Is this the 1st time we have had a new currency? I don’t know if you remember credit cards coming out? Now, virtually everyone has a credit card over the age of 18! Many people have multiple credit cards. One of the problems with bitcoin is that it is misunderstood. Most people have no idea what it is. They hear the bad news that is put out by the media agencies which are controlled by the government and the big whales handling the money, so they put out misinformation to scare us into not buying bitcoin, so they can control it. The more you deal with bitcoin and the more you understand the horror of what is going on the the financial world the more you will understand what I am talking about and why bitcoin is needed. If you bought bitcoin in 2017 in November and December, you would have paid a lot of money for it. Bitcoin went up massively last year from about $1000 in February 2017 to just under $20,000 in December 2017 and then there was a massive crash. I personally think the massive crash was a good thing because it’s going to sort out the men from the boys. There are a lot of people who joined bitcoin based on greed, they just wanted to make a quick dollar! They bought lots of bitcoin, they were hyped up by the media saying bitcoin is fantastic when it was growing, which is deliberate. They were basically driving us into a frenzy so that the price would go up, so that we would all buy it. In my opinion it was deliberately driven down by agencies who are wanting to buy bitcoin extremely cheap. Right now bitcoin is about $3,300 a coin and I think it is going to go down further (this is not financial advice by the way – this is my personal opinion). I think it’s going to go down to maybe $2000 or $1500 they will buy lots of it and then the price will go back up again. If you buy bitcoin based just on price, you will probably lose out a lot. If you go back to what bitcoin is actually for, it was to create a decentralized, trust-less financial system, and that is where the value is. Over the next few years when people understand we are being screwed by banks, governments and financial institutions and more people will clamor for a decentralized, trust-less society, more people will want bitcoin and cryptocurrency and the prices will go up. How long that is going to take, I don’t know but maybe 1 year, to 5 to 10 years! I believe bitcoin is the future and that is why I have created this little program to help you understand bitcoin a little bit more. One last thing I do want to say is that I am not a financial advisor in any way. I am just a guy who just under 2 years ago got involved in bitcoin and I have had amazing experiences with bitcoin and I am sharing my experiences with you. This is for informational, educational and entertainment purposes only. I am not telling you to get into bitcoin. I am not advising you to do anything I do and if you do I want you to understand that you take 100% of the risk. If you buy any bitcoin, (actually if you do any investing of any kind,) never ever invest any more than you can afford to lose. Do not use the kids school fund, don’t sell the house, don’t sell the car, don’t sell anything, don’t borrow money, no credit cards or anything like that to get involved in bitcoin. Only ever use an amount of money that you can afford to lose. I take no responsibility of any kind for any amount of money that you put in or that you lose. Go in with your eyes wide open, understand and research bitcoin before you buy or trade or invest in any bitcoin or in any investment what-so-ever, you should understand it. A lot of the people that let money last year and the beginning of this year, did so because it was based on greed and had no idea what they were doing, they didn’t even know what bitcoin was, they were just buying it because their best friend had some. Don’t be one of those people, don’t buy bitcoin based on greed, but bitcoin because you believe in the underlying use which is to create FREEDOM! Race To 1000 – It is to create FREEDOM. Why do I say it’s to create freedom? Because the governments control our money and we live in a financial prison because of it and if we can control our money, we can start to create our own freedom. What I am going to do is to take you on a small journey and I am going to show you some of the programs that I have been using and this is a small chart of what we are going to go through. It might look a little bit overwhelming for you, but please do not worry as I will go through every single one of these step-by-step. Number 1 is your bitcoin wallet. A bitcoin wallet is no different than a bank account, except you control it instead of the bank controlling it and instead of money going into it, bitcoin goes into it. And we are going to work with 3 or 4 different styles of programs. Over on the left in red, we have what is called the Moon websites, Moon Bitcoin, Moon Bitcoin Cash, Moon Doge, Moon Lite, Moon Dash and I will show you these 5 websites, I will share all the links with you so you can get signed up (FREE) and I will explain how to use every single one of them and they will feed their coins, into a place called Coinpot. I will show you how to signup to Coinpot and this is like a little bank and where we can convert all the coins into bitcoin. 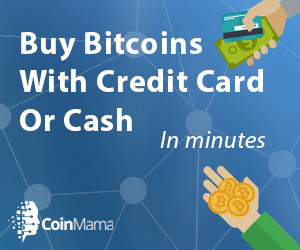 then we send it from Coinpot to your bitcoin wallet. This might seem very confusing right now, but I promise it’s simple and I will show you every little step. On the right hand side, we have different programs, we work with, BTCRig, Cointiply, Cryptobrowser, Infinity Traffic Boost and ADBTC. They are all programs that I am using right now and you will be able to see my progress and results with these programs. I am presently using all of the programs I show you. At the top (in orange) we have some specialized programs. These are advertising revenue share programs and we are making money with these. One is a cellphone app, which is extraordinary, when I 1st saw it I thought it was a gimmick and it had no value, but I will explain later why I changed my mind on that. There is also an advertising platform where you can advertise almost any business or service that you have and get paid for doing so. You will get returns of approx 120%, and it absolutely amazing, I have been working with it for almost 1 year. On the right is a social media matrix, where there is a Facebook page style website, where you can get paid for interacting with people. I am going to take you through the process of all of these programs. I use every single one on a daily basis. Every single day I spend about 45 minutes to an hour of my day connecting all of these programs together and I will show you the process step-by-step. In the next video, I will start off with one of these programs and all you have to do should you choose to do so, is follow the steps that I show and you will start making bitcoin immediately for FREE. Race To 1000 – We are going to start off with free programs. You will not have to invest any (out of pocket) money in any of the programs that I am going to share with you initially. You may choose later to upgrade to some of the specialized programs (but you are not required to). Add your email address in the box below and get started TODAY! 1000 people will make $1000 – Are you one of them? I am not a financial advisor. all content on this website is provided for informational, entertainment and educational purposes only. The information does not constitute investment advice, financial advice or any sort of advice at all. NONE of this website’s content is advice of any kind and you should not treat is as such. ← RIP Bitcoin – Is Bitcoin Dead And How Do I Invest In Bitcoin? Thank you for sharing this article about Cryptocurrency/Bitcoin and you have done a great job in explaining in great details how they work. I had downloaded your book “Addicted To Bitcoin” and will start to read it after this. l have also subscribed to your free program – Race To 1,000 and see how this program can help me in making some Bitcoin. l have bookmarked your site for future reference and get some answer from you if l am in doubt. Thank you so much Shul. I really appreciate you taking the time to be part of the conversation here and also joining me in the Race To 1000. My goal is to help at least 1000 people get started with bitcoin in a simple and safe way. They need invest no money, only time. Thank you also for reading the book. One of my goals with the ‘Race To 1000’ was to help beginners experience bitcoin in a safe environment. The programs I am using to begin with are completely free, so there is no financial risk to the student. This gives them a chance to understand bitcoin in a safe way so they can decide if they want to venture further with a basic education. Look forward to seeing you on the team! I read your article and I have a question for you: Why do you think someone has to let go of the projects to make money which don’t involve bitcoin (tried and true methods) and get thrown in a high risk world like bitcoin. In fact, this question describes my situation. I mean we all want to make money, but aren’t the tried and true methods better? And my second question is: Do you think bitcoin is the future? Do you think it is going to become easier to understand and invest in for the average person? Because clearly you have a background in business and maybe this has helped you with understanding and ‘playing’ with bitcoin. No one has to do anything. People have the choice to invest in anything they want. Bitcoin is a relatively new ‘kid on the block’ with only 10 years history. However, it has to be noted that bitcoin has produced better returns in the last 2 years (and this year is one of the worst for bitcoin) than the stock exchange has in the last 20 years. For investors this is obviously worth looking at. With regards to your 2nd question, although I cannot give financial advice, I am investing in bitcoin because I think that it is going to be one of the future currencies. I also believe that bitcoin will slowly integrate into our lives and will become easier for us to use. I hope that this helps, but great questions! Hello Tim, very good and informative article about Bitcoins. As you said Bitcoin is an option to decentralize our not so trusted bank system, it has a future for sure. But you need to admit that in last decade Bitcoin has some significant fluctuations on the market and I don`t know how good is that. Do you have some idea why is that happening? Is it because of stock market speculations? Thanks for sharing with us! Thanks for you thoughts in the conversation. Bitcoin has been volatile. it is a relatively new concept so I think it is trying to establish itself. However, in my opinion the biggest issue is the media’s reporting of bitcoin. No one paid much attention to it over the last 8 years or so. As the price increased in early 2017, the media got wind of it and drove the public into a greed frenzy with non-stop messaging about how bitcoin was making millionaires. Unfortunately the public are always about 8 to 10 months behind and they kept buying based purely on price expecting the price to keep going up. No one thought about what bitcoin actually did and that at some point the price would stop growing. I think one of the things that happened is that the price became to high for the actual usage and so expectations rose faster than results. Bitcoin is not ready to be used as a public payment system or a high trading commodity. So the price fell back down to a more correct price. Sadly the people who bought solely on price at the end of last year will lose a lot f they sell. Long term bitcoin, in my opinion, will grow massively, but the technology behind it has to be improved. I think in 2 years we will be talking very differently. Have you noticed that the media’s messaging has changed this year into non-stop negativity. What is interesting is that the use of bitcoin has not changed. Just opinions. Thank you for a very stimulating question. really inspiring story! I too want to retire when i am 50 and travel the world! the kids will be in college and then its just me and missus! personally i am not a fan of bitcoin or any cryptocurrency! anything financial without regulation scares the crap out of me but after reading your post, i believe there is more to than the scary stories i have heard. to make bitcoin dont u need to mine it? and doesnt it take time because there are so many ppl doing it now? can you advise how a beginner like me can use bitcoin to make money safely? And bitcoin made that possible. you can indeed mine bitcoin, however it is massively expensive and technically very challenging. The easiest way is to buy bitcoin from someone who has it or to join in ‘Race To 1000’ where I show you how you can start creating bitcoin from your home on your computer today! All you need is a computer and internet and you are ready to go! Look forward t o seeing you on the team! This is a really interesting article and firstly congratulations on writing your book and changing your life ariubd after your horrible experience with your bank! I really engaged with your article, I have always been sceptical with how to get on with bitcoin after I tried USI Tech but only with a small amount to test it, thankfully as it turned out to be a scam. Ive signed for your book and I am interested in giving bitcoin another try although I need to fully understand it first. Hi Darren and thank you for getting a copy of my book. I have experienced terrible girlfriends in my life, but even though I had bad experiences I kept going until I found the love of my life. Understanding bitcoin will certainly help you choose your bitcoin investments. The ‘Race To 1000’ program allows the student to get started with no financial risk. Look back to feedback from you. Hey there. I agree with you. Bitcoin/ cripto currency is the wave of the future. I started investing in crypto a while ago. Although I stay away from bitcoing now I do believe it’s a good place for begginers to start and have lots of opportunities to make some real money for little investment like you are doing here. I hope people take you up on this offer and get started investing in there future. Great page. I like to see people helping others. They say if you help enough people get what they want, you can have anything you want. Kepp up the good work man. Thank you for leaving your thoughts. I appreciate you. This page is primarily designed to help the complete bitcoin beginner start creating bitcoin for themselves with zero financial risk. Absolutely no money is needed to get started and I explain every step in short simple videos. This gives the student a safe environment to begin to understand the uses of bitcoin. I look forward to helping lots of people understand bitcoin! Thanks again and feel free to share this with any of your friends who would like help. Thanks for this informative and educative post on bitcoin .The fact that you said “addicted to bitcoin “is free got my attention.I’m really inquisitive about things related to bitcoin because I’m a new bike in it . I just invested on it not quite long although I was told the price went down recently but I was encouraged to do it Thanks for this I will get the book and read then give you feedback. I hope the book really helps you understand that there is a lot of money to be made with bitcoin. It helps if you understand what you are doing, so the Race To 1000 program is designed to help the student get a basic understanding without financial risk. Enjoy the book and I wish you success with bitcoin. If I can help, let me know! Very nice article about bitcoin. You give a lot of info about cryptocurrency and I think that the number one reason why people are scared of it is because it is a 100% internet thing and because nowadays there are so many scams online people tend to think that bitcoin is scam also. I still believe this is not for everyone but if you really want to dive into it it can really help you make money. Thank you for the share. I totally agree with you that right now, bitcoin is not for everyone. However, it is my belief that the day will come when bitcoin and cryptocurrency is embedded into our society the same way as the internet is. The earlier people understand what bitcoin really is, the quicker they can adopt it into their life and business. My free program Race To 1000 is designed to help students take the very 1st step without any financial risk. To start with I must say what an awful experience to have a bank tell you are going bankrupt. They deny access to your money and in 6 months you are really bankrupt. I had no idea a bank could do that and I wonder if it is legal. It is true that traditional banking is getting complicated. It takes ages to get your money from an other country. This is the experience Michael made when he went from the U.S. to come and live in Spain. All the details you have to tell and one feels one is under observation. To avoid this hassle bitcoin was created. Banks and governements are not pleased as they have no control and that is why bitcoin gets a bad rep. All this is understood. I will pass on your website to my better half as he is doing bitcoin. It will be helpful to him. Banks can actually freeze accounts when they want. In fact if ever there is a bank run, expect it to happen. This is what recently happened in Valenzuela. the banks there simply froze bank accounts to stop going bankrupt! This is why I like the concept of bitcoin. I am my own bank and I can control my money without the permission of any 3rd party! People will slowly realize the risks they are taking with having their money in a bank and will eventually swap financial systems. It is great to hear that you have an interest in bitcoin and that you actually gave it a shot. Bitcoin will continue to be volatile in price for a while yet and there will be many opportunities still to come. Governments are going to do their best to give bitcoin a hard time as it opposes their master plan of controlling our finances. They do not want us to have control. Definitely, I will follow your site and signup. Thank you too I appreciate you being part of the team and if you have questions or comments, please do not hesitate to contact me. Thank you, I found it to be a very interesting and insightful article. I had no idea about the origins of the Bitcoin. Neither did I know about the fact that there can only ever be 21 million coins. Nor had I paid attention to the obvious bank bureaucracy. In fact, I know people, who essentially went bankrupt like Tim did, because the bank randomly decided to froze their assets. Which is absolutely devastating in the fast facing business world. Again, thank you for all the valuable insights. I am happy to help you understand the meaning behind bitcoin. Sad to say, I believe the vast majority of people completely misunderstand bitcoin and what it is actually for and this is largely to lack of correct information being broadcast from media sources. As more people understand what bitcoin actually is and that for transfer of money it is probably one of the safest mediums around, I expect to see a big shift from traditional banking. If you would like any more information let me know or why not try joining the Race To 1000 program where you can learn about bitcoin in a safe environment?